South Devon Osteopaths | Will my osteopath discuss my details with anyone else? As a matter of course and with your consent SDO Ltd will write to your GP at your initial assessment informing them you have been seen. At discharge a letter will detail your care and response to treatment and any self help advice you have received. This informs your GP of the care you have received preventing duplication of care in the future. 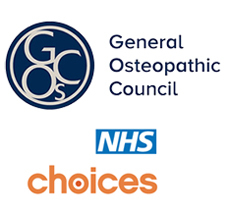 South Devon Osteopathic clinics are located in GP surgeries and Community Hospitals. This facilitates an integrated system of care with both Doctors and other Allied Health Professionals. South Devon Osteopaths have strict rules on patient confidentiality. We will not discuss any part of your case or pass on any of your details relating to you to any other individual or agency without your prior consent.